You can enjoy the beautiful scenery as if you were in British village. And the St. Margaret's Church which is built in English Gothic style is next to our studio. 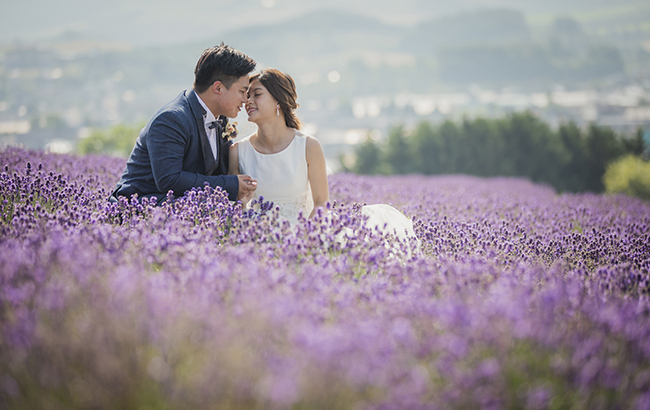 Studio SOLA is not only our Hokkaido branch, also a nice locaiton for prewedding photo shoot! 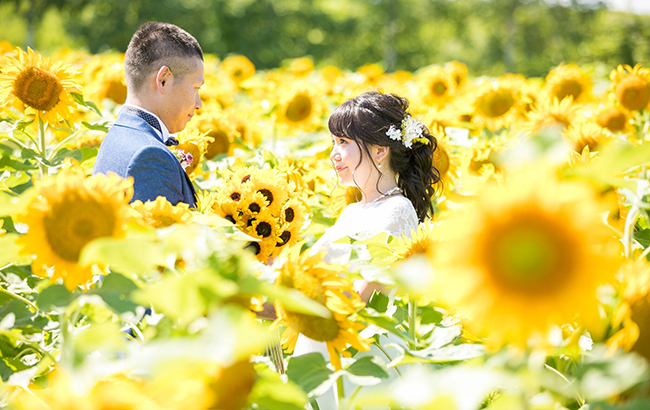 Himawari-no-Sato in Hokuryu-cho of Hokkaido is the largest with around 1.5 million sunflowers. 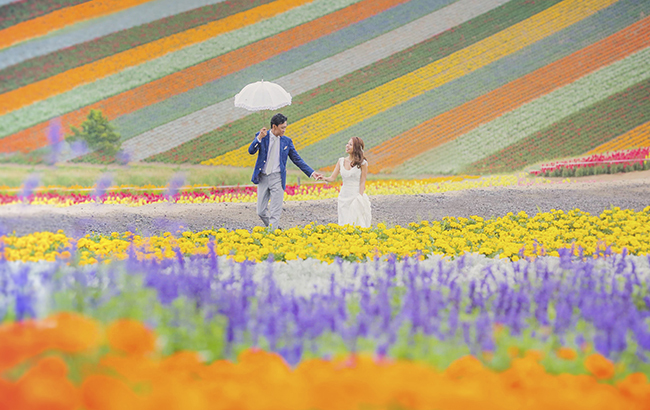 It is a town of sunflowers, where many people gather from all over Japan in the summer. The hill in Biei is separated into an area called “patchwork road” and another one called “panorama road. ” On the hill, various flowers and crops are arranged to create beautiful patterns like a patchwork is particularly beautiful.